IVF is one of the areas where science and life come into intimate contact. At IHR, with latest IVF technology and due to careful attention to our patients, we are achieving results that are world standard. 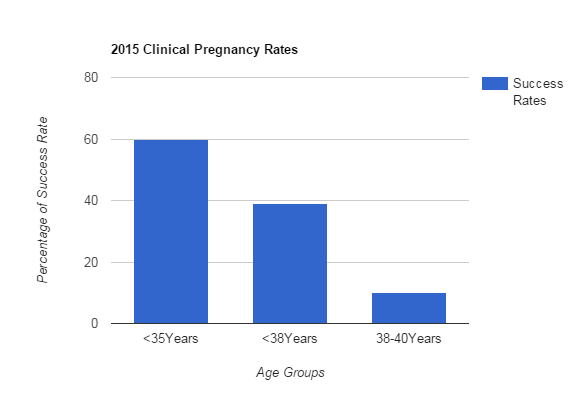 In 2015 we had our most successful year ever in achieving the highest number of pregnancies by age group. IHR offers a whole gamut of Assisted Reproductive Technology (ART) Treatment Options for helping parents achieve their ultimate goal of conception. Over the years we have seen that the success rates vary based on the procedures used. The average clinical pregnancy rate per embryo transfer (E.T) procedure for IVF/ET and ICSI is 40%, Oocyte donation is 60% and for frozen embryo is 40%. These figures are averaged across all age groups below 35 years. Success rates are lower for women above 35 years. 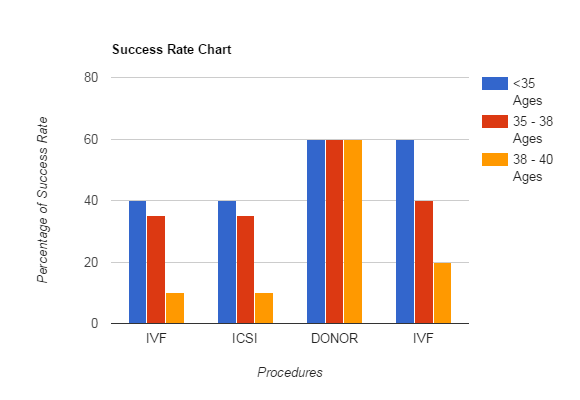 We have found that the success rate is higher if a couple undergoes FET as shown in the success rates below. See the chart given below.